Polowat (pop. 2,000) is part of the Carolinian language continuum; these are very closely related dialects of each other. Polowatese is under influence of Lagoon Chuukese and somewhat of English. 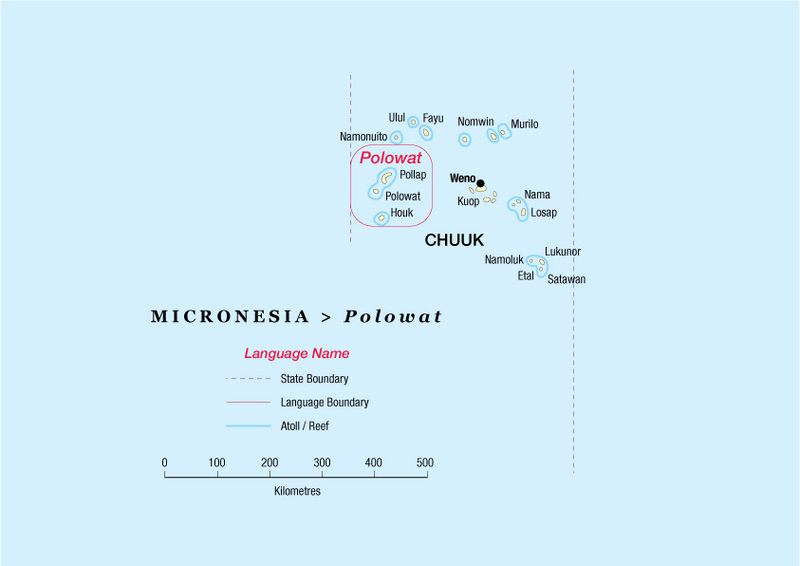 Polowat is part of the state of Chuuk, and the only way to get to the atoll is by ship from Chuuk. 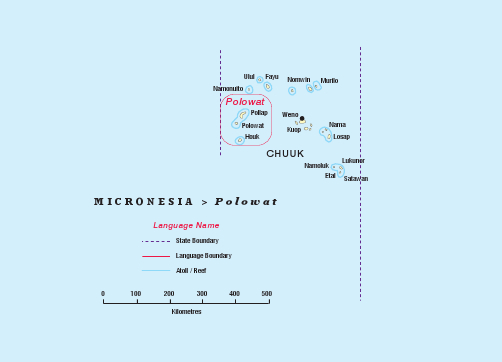 Various contacts have been made in 2010 with the people of the Polowat language group to determine if there is significant interest in a translation of the Bible into their language. Since Polowatese is closely related to the other Carolinian languages, it will be possible to make an adaptation from one of the related languages. This will greatly speed up the initial drafting of the translation and will ensure that the various translations produced in the Carolinian languages will be of a similar style. Work on a translation has yet to start.